Football, American style: the season for anterior shoulder dislocations. My specialty group and I manage this condition throughout the year, of course, but the numbers surge in the fall. Pre-reduction on the sideline, or post- in the clinic, the dislocated shoulder is an entity that loves this time of year. There are so many aspects to the treatment of this injury, which occurs so frequently on the playing field. First time dislocators: surgery or no? What to do about recurrent dislocations? 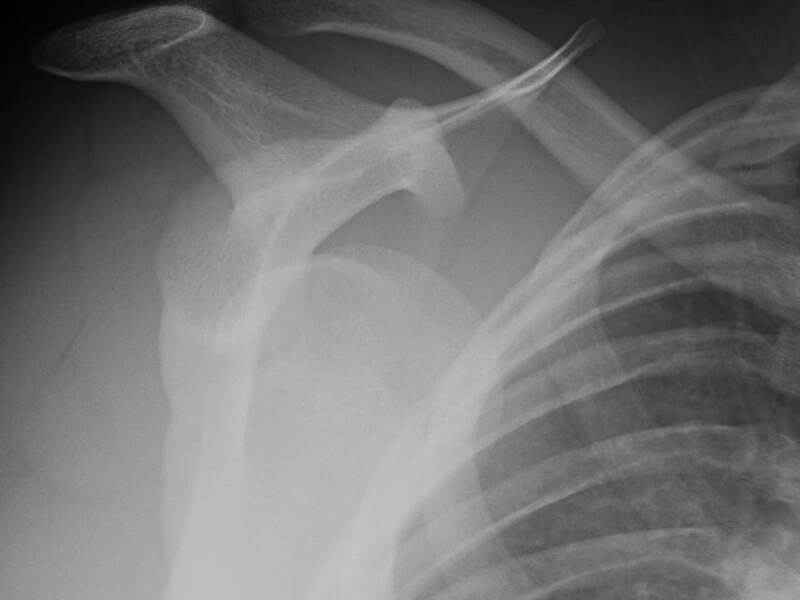 If an apparent anterior shoulder dislocation shows up in your urgent care, do you take the time to image prior to reduction? Do you use anesthesia or sedation? When do you return them to play? One aspect of this issue I especially like to discuss: What’s your favorite method for reduction? Hippocratic? Spaso? Slump method? A lot of us use what we were taught; and if it works, then that’s our go to procedure. I had the good fortune of spending a month working with Dr. William MacAusland, Jr., an orthopedist from Boston who spent years working at Harvard. He sponsored a medical student rotation at the Carlos Otis Ski Clinic at Stratton mountain, in Vermont, and I spent a month in medical school skiing the slopes and treating the injured with Dr. MacAusland. He favored the ‘modified Kocher method,’ and that is what I have used ever since. I should say, as well, that Dr. MacAusland took great pride in reducing a shoulder with no anesthesia; he favored a slow, gentle approach that essentially relied on hypnotic techniques. He believed the ‘humerus wanted to get back in place,’ and any significant effort on the practitioner’s part (e.g. traction) was more apt to get in the way of rather than aid the reduction. Certainly, I have found that if I can see a shoulder within the first hour or so of the injury, before significant spasm has set in, that Dr. MacAusland’s approach in toto works like a charm. I was taught as a general principle to have two techniques at the ready, in case the first method was ineffective for a particular patient. The Spaso method is my second method. So, what’s your favorite method? Take the poll below and tell us in the comments section why you prefer it.